A Winnipeg jury has found Christopher Brass and Jason Meilleur guilty of manslaughter in the death of Jeanenne Fontaine. A jury has found two men guilty of manslaughter in the death of Jeanenne Fontaine. The jury in the trial for Christopher Brass and Jason Meilleur delivered their verdict Saturday morning in a Winnipeg courtroom. Brass and Meilleur had both pleaded not guilty to the manslaughter charge. Fontaine, a cousin of Tina Fontaine — whose 2014 killing sparked calls for a national inquiry on missing and murdered Indigenous women — was killed in 2017. Jeanenne, 29, was shot in the back of the head inside her home on Winnipeg's Aberdeen Avenue, near Salter Street, on March 14, 2017. The house was then set on fire. Brass is already serving a life sentence in prison after pleading guilty to first-degree murder in the 2017 death of Regina man, Daniel Richard Dipaolo. He was also found guilty of second-degree murder in the death of Bryer Prysiazniuk-Settee, who was shot twice in the chest at a North End home and turned up dead in the snow blocks away in February 2017. An audible "yes" could be heard from Jeanenne Fontaine's friends and family as the verdict was read out. Lining the back row of the courtroom, they held each other and cried. 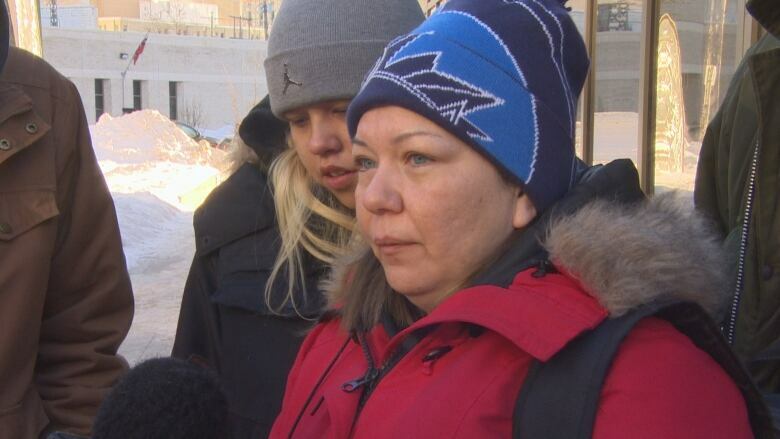 Outside the courthouse, her friend Melissa Stevenson, who read a statement on behalf of the family, described Jeanenne as a beautiful, loving person who was taken too soon. "I always describe her as a butterfly that just floated from person to person, making their life beautiful," she said as Fontaine's family stood behind her. "But like a butterfly, she was very frail. She was delicate and she was beautiful. And she touched all of our lives." 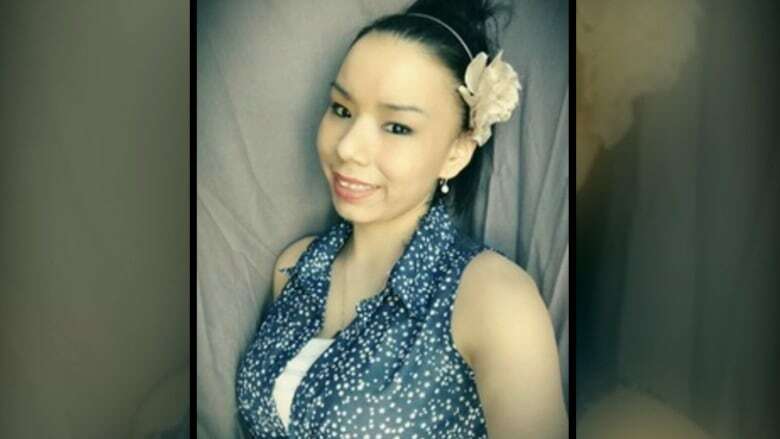 Though a guilty verdict doesn't bring Fontaine back, her loved ones are happy that "no other women will be hurt by the actions of these two," Stevenson said. Over the course of the week-and-a-half-long Court of Queen's Bench trial, a jury was told that Brass and Meilleur went to Fontaine's home with a third man, Malcolm Miles Mitchell, to collect a drug debt from the victim's boyfriend. But when they found the boyfriend, Monte Bull, wasn't there, the men decided to rob Fontaine instead, Crown prosecutors alleged. The jury was told during the course of the trial that Mitchell was the shooter. The key issue during Brass and Meilleur's trial was whether they went to the home with Mitchell to commit a robbery, and whether they knew — or ought to have known — that could lead to serious harm for the victim, the jury was told during closing arguments Wednesday. Crown prosecutors argued that testimony from the victim's brother, Vincent "Chuck" Fontaine, proved Brass and Meilleur had the intent to commit robbery. Vincent told the jury that he was inside the home where he lived with Jeanenne and saw the men come in armed with a gun and a knife, and that Brass was standing watch by the door. Bull, who also testified at the trial, said that he owed Meilleur's girlfriend money. Defence lawyers argued that the Crown's evidence was circumstantial, and that they had failed to prove beyond a reasonable doubt that Brass and Meilleur went to the house with Mitchell with intent to commit robbery. Meilleur's lawyer, Theodore Mariash, pointed out that Vincent Fontaine testified that one of the men took his phone, and then gave it back to him, arguing that suggested there was no intent to commit robbery. He also said that Vincent's testimony suggested he did not behave like a person who was being robbed. Vincent Fontaine also testified that he didn't hear the three men demand property or money, Brass's lawyer, Tara Walker, noted. The trial, before Justice Gerald Chartier, began on Jan. 7. Brass is set to be sentenced next week, while Meilleur's sentencing date has not yet been determined.